Growing up the sons of a working-class mother and father, T.J. and John Osborne learned at an early age how to make do with what they had. Their blue-collar rural Maryland upbringing was far from the one other kids were experiencing in the nearby affluent suburbs of the nation’s capital. Whether they were lighting their house with candles when the electricity was turned off or using a garden hose for summertime fun, T.J. and John were frequently making something from nothing. That same sensibility informs the music they make as Brothers Osborne, a twang-and-crunch duo that blends equal parts country and rock into one of the freshest, most identifiable sounds to come out of Nashville in recent years. 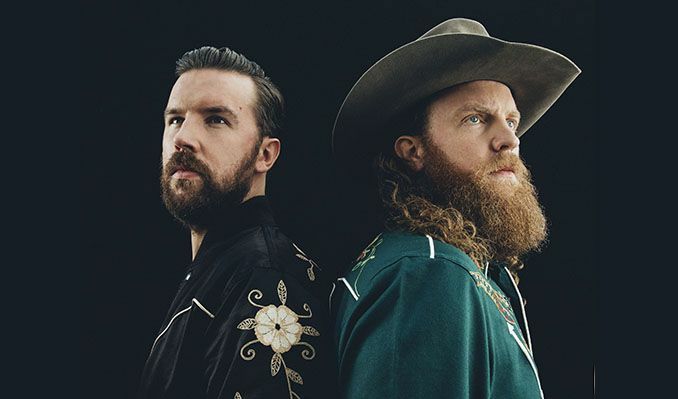 Driven by T.J.’s sultry, low-down baritone and John’s slow-hand guitar work, Brothers Osborne fills a void for singer/guitarist duos with a presence. They aren’t shoe-gazers—both over six-feet-tall, T.J., 28, is a dynamic singer, full of power and verve, while John commands his instrument with particular swagger. Onstage, they possess the interplay of a country Jagger/Richards. Influenced heavily by Hank and Merle—“If someone doesn’t like Hank Williams and Merle Haggard, I think there must be something wrong with them,” says T.J., who sports a “Hank” tattoo on his wrist—Brothers Osborne also credit Dwight Yoakam, Tom Petty and, especially, Bob Seger with shaping their sound. Eventually, the brothers relocated to Music City, first John and a year later, T.J. Reunited, the versatile musicians accepted a job backing up a bluegrass artist and cut their teeth on the touring circuit, even playing the Grand Ole Opry. But the pull of doing their own thing was too much to resist. And so Brothers Osborne was born. Soon, the duo was laying the groundwork for what will become their EMI Records Nashville debut album, a collection of songs—each one written by the brothers—that, while indisputably ready for radio, carry an integrity akin to those of their influences.
. “Shoot From the Hip” is a spaghetti-western throwback, complete with haunting whistle and jangly guitar. The almost whispered “Love the Lonely Out of You” displays the brothers’ more subtle side, while “21 Summer” finds the siblings exalting in nostalgia. And first single “Let’s Go There” is a Stonesy rocker about getting away from it all. It’s also the song that ties the project together. However, it’s the ramshackle “Rum” that may best define Brothers Osborne. 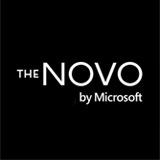 Its creation inspired many of the tracks on the album, including their debut single. “The early things we did with ‘Rum’ really translated to ‘Let’s Go There,’” T.J. explains. Originally recorded in the music room of T.J. and John’s shared Nashville home, the boozy escape “Rum” is a back-porch sing-along. It also is the perfect embodiment of the duo’s credo of making something from nothing. To get the song’s signature rhythm, the brothers banged away with drumsticks on the arm of their futon, a $50 steal at a local yard sale. “We wanted to keep it organic and loose, not pristine,” T.J. says. Just like their approach to music.